After Diwali, the major Hindu festive season is almost completed in India. From namkeen snacks to plates full of mithais, everything have indulged by us during that time. Hence the festive season results in the gaining weight. Also after this period, there is always a seasonal change and our body really needs to detoxify in order to be able to handle all those changes and back to normal track. 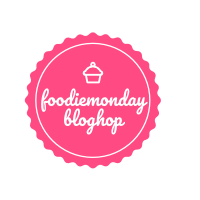 Keeping all these things in mind, the 170th theme of Foodie Monday Blog Hop team has decided as 'Detox Recipes'. So I have shared a detox beverage, Green Tea Lemonade as my contribution. everything related to our digestive system which may start from bloating to indigestion. So a post-festive detox must have a good dose of lemons. And the green tea has a number of health benefits which include detoxifying our body and preventing bloating too. The high amount of antioxidants puts green tea on most detox lists. These antioxidants seek out and kill free radicals (known to have a hand in ageing and other diseases) before they can do any damage. So instead of making a hot beverage using the green tea, here I have come up with a cold one as Green Tea Lemonade. The brewing part of the tea has to be finished first followed by the lemonade part. This lemonade is naturally sweetened with honey. Any other sweetener can be opted if desire. If you are not at all a fond of green tea, then I can assure you that this will be your most favorite beverage after having a sip. 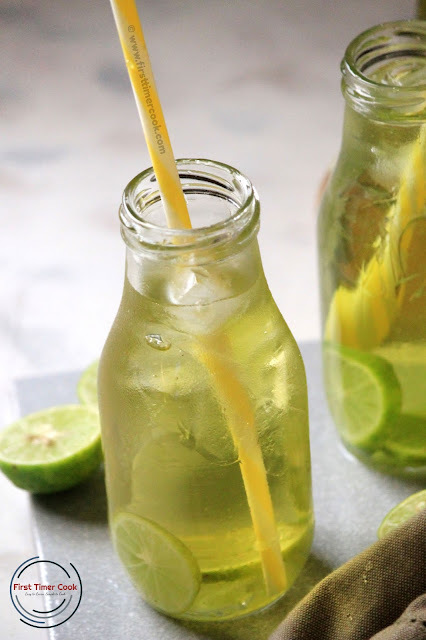 This tea infused lemonade is very light and refreshing and is perfect for sipping throughout the day. 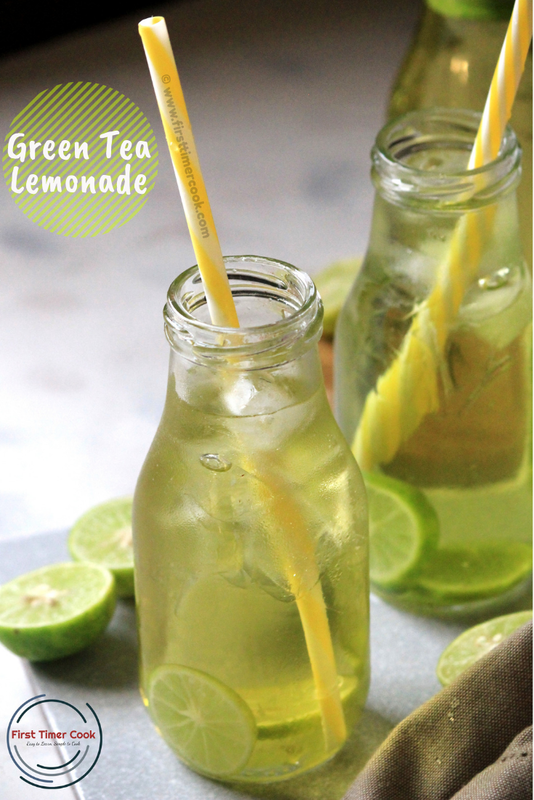 In any party beverage list, this green tea lemonade surely make its place to love by all. In a saucepan, first boil 1 cup of water. Turn off heat and add the tea bags. Allow to steep for 3-4 minutes. Take out the teabags and add the fresh lemon juices by squeezing the lemons. Pour 2 cup of cold water, honey and give a nice stir. Now take the serving glass. Put some lemon slices and ice cubes. Next pour the green tea lemonade and serve immediately ! If desire, then some lemon zest can be added along with lemon juice to increase the tartness in lemonade. Honey here I have used, any other sweetener can be taken also. Extremely refreshing and I wouldnt mind sipping on this Sasmita. Mumbai is pretty humid these days and cool drinks are very much needed than solid food. Lovely images. A healthy detox drink, adding lemonade imparts so much flavor to the green tea. Love the clicks. Wow, with such pretty looking ones I can sure take it to work and send for school.Awesome share. 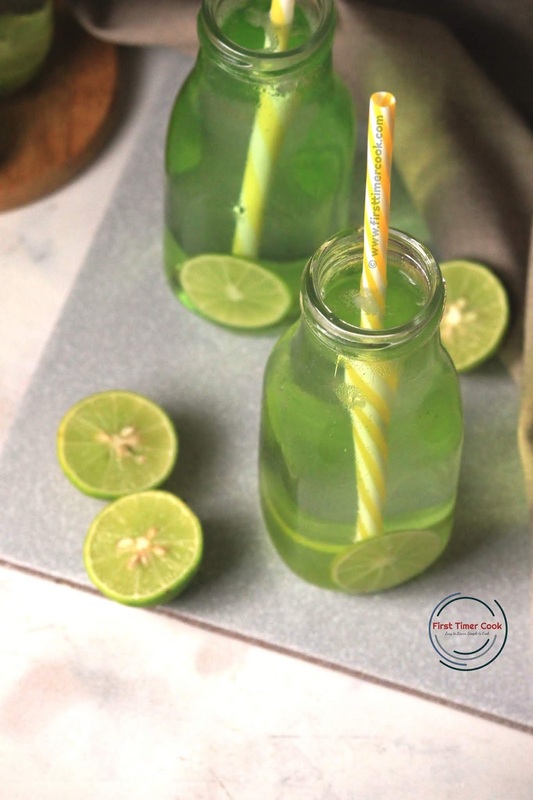 Green tea with lemonade sounds so refreshing Sasmita ! Loved your presentation and photography, it looks very appealing . Absolutely refreshing and excellent thristy quencher to have during summer. And your clicks are seriously very catchy. Beautiful drinks to try without any hesitation. this is such a refreshing and healthy drink to have!! Love the color too! 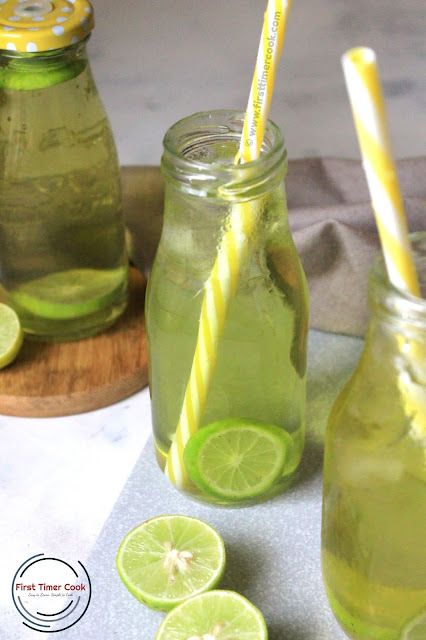 Green tea lemonade looks so refreshing and delicious. I would love to have a chilled glass of this green tea any time. Awesome share. The drink looks so refreshing Sasmita. It's need of the hour here in Mumbai which is reeling under sweltering heat. Ah, you are so right. After all the hogging of festive snacks, we need something like this to balance the system. Perfect for after festive season. The lemonade looks so refreshing and I love the idea of adding green tea in it. A refreshing drink anytime. It's my go to summer drink in summer.